To bring orphans and needy children to Jesus Christ through teaching the word of God, caring and to making them good people for the society, who are able to support themselves and their families, Develop them to Christ like and good citizens by service and life mission in the world ,in order to magnifying God . We inspire and serve our local and global community in spiritual evolution, support and individuals in their personal growth and spiritual transformation to implement our vision with the highest levels of Christian service and spiritual excellence, while seeking to a global presence and a wakening. 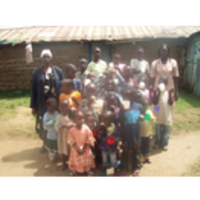 Our goals is to reach the unreached children with the love, care and gospel of Jesus Christ,(need and orphans) To build the best home, school, dispensaries, and collages for this need children. 1: To promote the children and complete to mature in the word of God, Mathew 5:9.